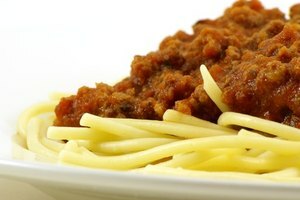 Spaghetti sauce is versatile, easy to make and inexpensive to buy. Still, making spaghetti sauce go a little farther is one way to stretch your food dollars. There are many tricks cooks use to expand the amount of sauce they need. 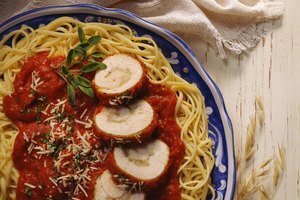 Some of the ways include vegetables or grains that add further nutritional value to the spaghetti sauce. Try adding red lentils. As the sauce cooks, the lentils totally dissolve and thicken the sauce. No one will even know they are in the sauce and you can add extra stock to keep the sauce from getting too thick. Use boiled, cracked wheat in addition to your ground meat. The soft, but chewy, texture of the wheat is similar to cooked hamburger and adds extra fiber. 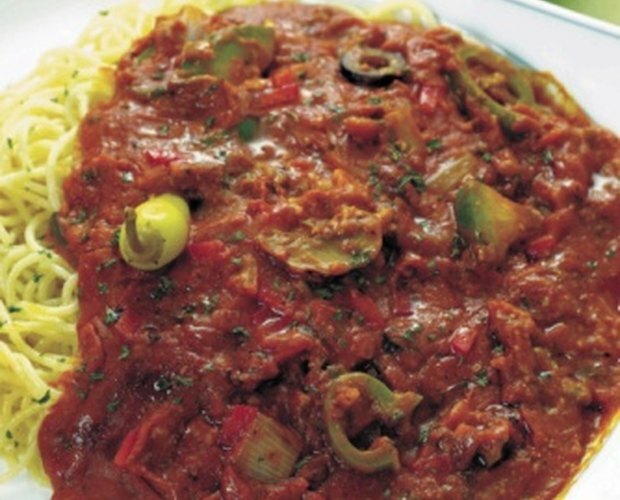 Canned tomatoes add a fresh flavor to spaghetti sauce. Throw them in a blender first to liquefy any chunks, unless you don’t mind them. 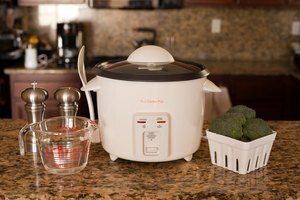 Several vegetables, such as cooked broccoli, green beans, spinach or zucchini, enhance spaghetti sauce without changing the flavor,if you don’t add too much. Even leftover salad, if chopped finely, will meld into the sauce. Fresh onions, herbs, garlic, green peppers and mushrooms always make a sauce go farther. Some leftovers do well to enhance the flavor of spaghetti sauce while stretching it a little farther. Look in your refrigerator for items such as meat loaf, chili and beef stew. Some items with pasta or potatoes will not incorporate well unless the potatoes are mashed. Leftover cheese grated into the sauce will add a nice richness to it. 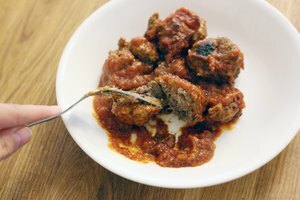 There are a variety of meats that, once added to your spaghetti sauce, will increase the amount of nutrients, flavor and amount of your sauce. Try ground cuts of meat, such as beef, pork, turkey, sausage or chicken. Cook them first to get the caramelized flavor, then stir them into the sauce. The Ohio State University Extension; Modifying a Recipe to Be Healthier; Pat Brinkman et al.